Over time, the novelty factor wore off. 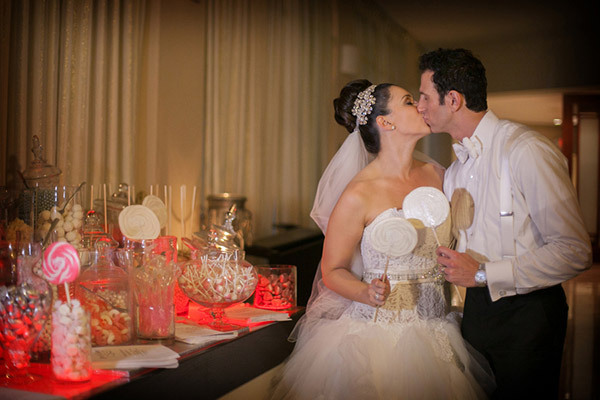 “Everyone loves candy but the candy table concept has taken its last bow,” We suggest that couples personalize their late-night snacks to make the experience more unique for their guests. One creative option is to have his-and-hers treats tables. “Maybe the groom is a sucker for a good PB&J with no crusts and a cold milk while the bride has always loved caramel apples,” including your favorite childhood treats. Quirky details like state-shaped cookies. Setting up interactive stations like a waffle bar, s’mores station and chocolate truffle-wine pairings is another great way to entertain your guests.